Seattle real estate offers a great variety in homes for sale, from newer architectural styles with high end electronics, to elegant Queen Anne-Victorians built in the late 1800’s to modern day Craftsman hybrids of 2000 and beyond. 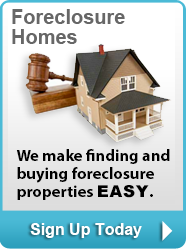 At NewHouseMatch.com our goal is to make your finding your dream home a reality. We’re experts at helping home buyers find Seattle Real Estate for sale that will best fit their exact criteria, budget and goals. Use our expansive state of the art real estate search tools and you’ll easily be able to find homes or condos that suit anyone’s taste. Whether you need additional assistance finding the perfect home, you’re ready to schedule a showing or make an offer, let us assist you and we promise to help you every step of the way! If you are looking for a new home or property in the Seattle area, then you want to work with some of the best Seattle real estate agents and brokers around to make sure you find your dream home and at a great price. If you are looking for a new home, condo or even a multi-family property that is near the city for a short, easy commute but that is only down a quiet, residential street in a rural area, then you’ve come to the right place. People look for new homes and properties for many reasons. They may want to upsize to expand and raise a family, downsize for retirement or even look for a vacant property to start a business or even a farm. Seattle is a growing city. It is known for its busy job market and economy, and it being home to some of the largest companies in aerospace, technology, logistics, music, and, of course, coffee. Although Seattle city living is fast-paced and busy, those who choose to live within the city corridors don’t miss out on its beauty. Seattle bank owned homes for sale are homes that were once owned by a buyer, but were reverted back to the lending institution. 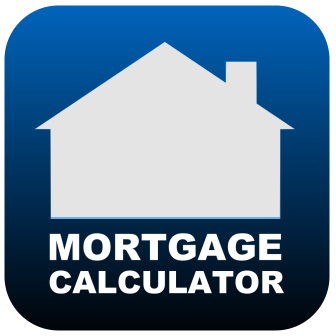 This can happen if a previous owner defaulted on a mortgage or failed to make regular mortgage payments. The housing market in the Seattle area is fueled by high demand and low supply, and many buyers are qualifying for low interest rates, which make purchasing a home or another type of property in the Seattle area a great idea. Not every real estate transaction is as straightforward as it may be for other buyers and sellers. For example, your friend or family’s real estate experience might differ vastly from yours – and vice versa. This is because no two sellers and buyers are alike; therefore, the real estate process can differ considerably. If you are looking for creative ways to maximize your investments over the long term or even boost cash flow in order to make a comfortable living, pay off debt, or plan for retirement and the future, then have you considered real estate? Many choose to invest in real estate for these reasons, and many more. However, many are under the impression that investing in real estate is too risky. More and more people today are recognizing the value in investing in cash flow properties. Individuals can invest in single- or multi-family homes or condos, and rent them out to other individuals and families for enough to cover the mortgage and to have some cash left over. Properties and homes in Seattle are in high demand today. This is because Seattle is one of the most popular and desirable cities to live in, in the United States. As a result, the Seattle housing market sees a lot of turnover, and a balance between home buyers who want to find their dream homes and sellers who want to maximize the sale of their home or property. Seattle is a beautiful and popular city located in the state of Washington in the Pacific Northwest region. Seattle is also known as the Emerald City because of its vast, green landscapes, mountain ranges, cityscapes and even rural acreage and waterfront properties. The real estate journey begins with New House Match. Whether you are looking to upsize or downsize your home, or if you are looking to relocate to Seattle as a brand new resident, then you want to make sure you have a number of homes and properties to visit. Although the Pacific Northwest landscapes are a bit different than Florida or the Northeast, home buyers are still likely to be amazed by Seattle’s beautiful landscapes, cityscapes, and waterfront properties. 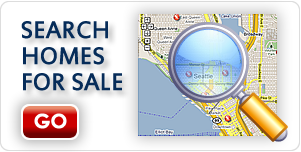 There are many different types of homes and properties for sale in the Seattle area. Single-family homes, condos, waterfront properties and even Craftsman homes are a dime a dozen here in Seattle. Craftsman homes are a smaller and more traditional type of home that were first built between the industrial period in the 1920s and 1930s. If you are looking for a new home in the Seattle area, then you will find a number of available properties ranging from waterfront properties on the outskirts of the city as well as right in the heart of downtown Seattle, amongst the busy lifestyle. The process of looking for that perfect home can be stressful and time consuming. On the other hand, finding a perfect home for you and your family is also an exciting time. Unfortunately, this excitement is usually overpowered by tension, stress, and even frustration that can often be involved in the real estate process. Looking for your dream home is a big deal. The first step to making your dream home a reality is to determine what you are looking for in a property in terms of location, style, and price point. Then, once you begin the research process to see the available properties for sale in a particular area, you are able to set up showings and appointments to see the properties you are interested in, in person. ooking for your dream home in the Seattle area can be an exciting and challenging journey. Buyers know that their quest for finding their dream homes begins with looking for homes and properties that fit their lifestyles, living preferences and requirements, desired locations and budgets. Finding that perfect home in the Seattle area begins by doing your research for a home that is the best fit for your lifestyle, living situation and family, location and budget. Finding the perfect match for all of these criteria can sometimes be a challenge. But At New House Match, we specialize in helping buyers find the home or properties that are truly a perfect match. This is one attribute that makes our team of real estate agents the best in Seattle. The real estate process can be a challenge, especially if you are unsure of what to expect or if you are dealing with a buyer or seller who isn’t easy to work with. Even some real estate agents can make the process more difficult than necessary. This is often the case in working with less experienced real estate agents. A Seattle real estate listing agent can provide the necessary data and information necessary to answer clients’ questions, and simply provide personalized attention and service to each client, which is what they deserve. Making the decision to sell your home might be a difficult decision, depending on the situation. This type of decision could involve upsizing to grow a family, downsizing for retirement or relocating altogether for a new job, to be closer to family, and so on. The residential real estate market in the Seattle area has changed considerably over the last decade. The demand for homes and properties in Seattle is increasing incredibly, and properties and homes are turning over quickly. If you are among the vast majority of first-time home buyers who are looking for a new condo in downtown Seattle, or even in the outskirts of the city, then you likely have a number of questions about where to go to find your new condo. 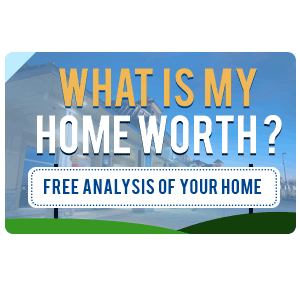 Regardless of the type of property you are looking for or are interested in, your lifestyle preferences, living situation or budget, there is a property or home out there just for you. Of course, buying any type of property comes with a certain element of risk, especially if you are relocating to a brand new area.